The Fjords Ulstein Swing Relaxer provides ultimate comfort and flexibility. The swing relaxer design allows you to recline, glide and swivel – all while sitting in one comfortable chair. The headrest manually adjusts to provide the right amount of support. The modern, Norwegian design will fit into any interior. 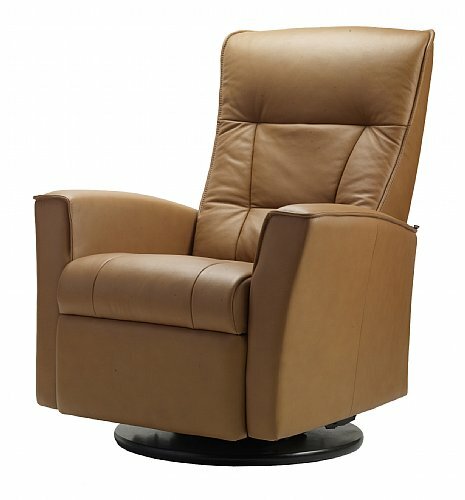 High quality leather enhances the comfort of the chair and creates a beautiful, long-lasting recliner.